So far this year, Columbus, OH-based Coastal Ridge’s multi-family acquisition volume in Fort Myers totals almost $200 million. The Reef is a 228-unit, 924-bed student housing community in Fort Myers, FL. 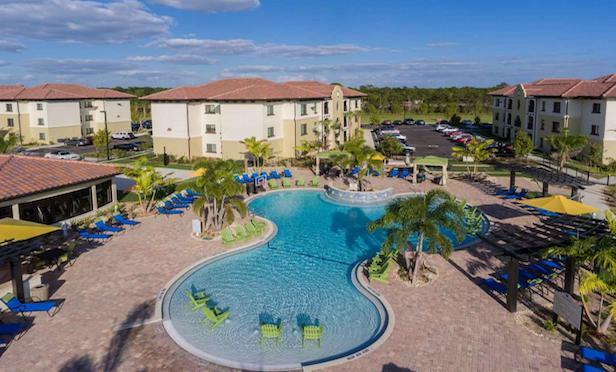 FORT MYERS, FL—A partnership of Coastal Ridge Real Estate and the M Group has shelled out $80 million for The Reef, a 228-unit, 924-bed student housing community here.